The most exciting Adventure in Azores! Whales, Local Food, Snorkel & Explore the Islet of Vila Franca do Campo - a Full-day! for groups, celebrations and private occasions! A funtastic and unique Wildlife experience! Join Marine Eco Expeditions to Wildlife and Nature in the heart of the Atlantic Ocean! Here at the TERRA AZUL Base in São Miguel island, we provide unique and interactive holiday experiences in the Marine Wildlife Oasis of the Azores Islands. 28 different species every year, and 4 cetacean residents year-round – let’s get you closer to Nature! Pickup & Drop-off: Ponta Delgada, Lagoa, Vila Franca do Campo, Povoação, Ribeira Grande – charged extra. A lot of whales today! How big is the heart of a blue whale? One of Europe’s Best Whale Watching (and Dolphin Swimming) Destinations! Certainly, an in-touch-with-nature experience, organised by a passionate-about-nature, warm & caring team. This was, undoubtedly, the best experience of our trip to the Azores. Great experience!!! Very fair people who only go out when the chance is almost 100% for spotting animals. With only 20 participants you get the feeling that you are on an adventure and not just another trip with the masses of tourists. The team at Terra Azul are knowledgeable and expert in their field. Trips are well organised and value for money. Amazing trip. Well organised with Land based lookouts guiding the boat. Knowledgeable and lovely tour guide. Definitely a must do. The staff were friendly, knowledgeable of the marine life and even named the different whales and dolphins in all the different languages of the guests. 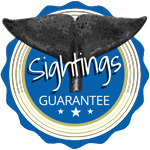 One of the Best Places to watch Whales around the World! The Azores Islands – a Top Green destination for Adventure holidays, and one of the best seasoned places for Whale Watching & Swimming with Dolphins, in Europe time! 2 to 3 hours away from the UK & EU and 4 to 5 from the US & Canada, in the middle of the Atlantic, a beautiful archipelago with the most incredible natural Wonders. Click here to know more.